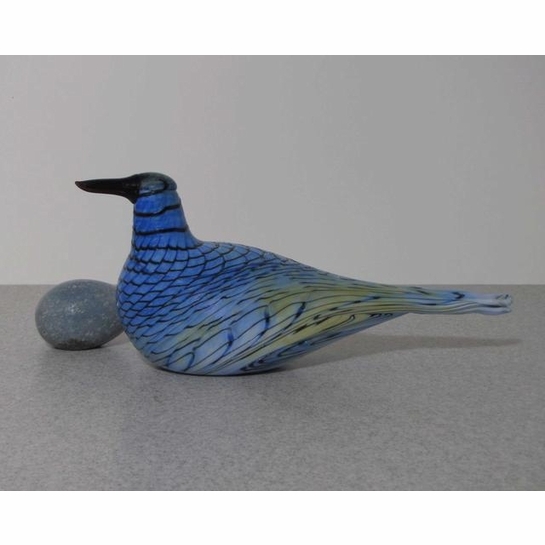 More about iittala Toikka Rusee Grebe Called Kriikku in Finnish, the Rusee Grebe is a beautiful blue bird. It's impressive length ends with a split tail, a detail that requires special attention from iittala's master glassblowers. 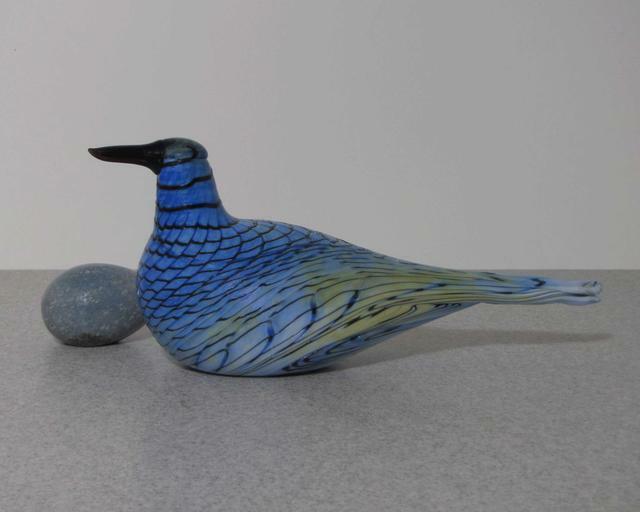 Introduced in 2008, the bird was retired in 2014 making it a sought-after collectors item for Toikka fans. 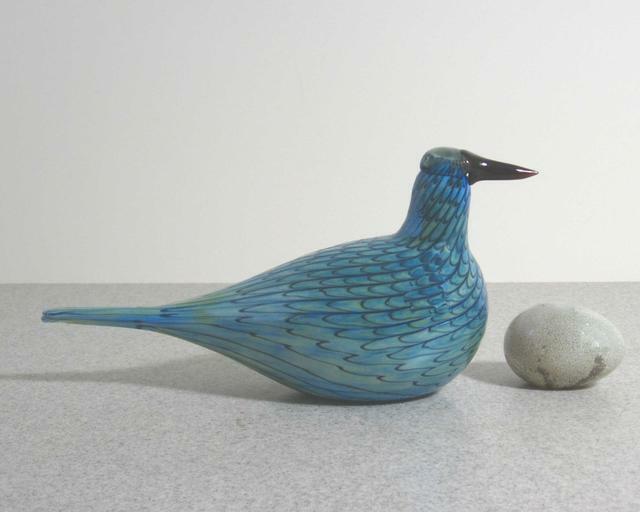 Notice the variations in color between the birds and how each is unique.